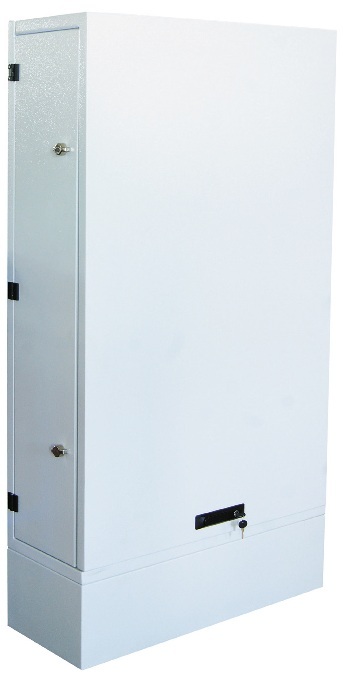 Motor hood single front door Fibre Distribution Terminal cabinet, for high density fibre distribution points to supply FFTX services to the customers. The cabinet has the functions of optical fibre cable splice, distribution, splitter holding, storage and dispatch. 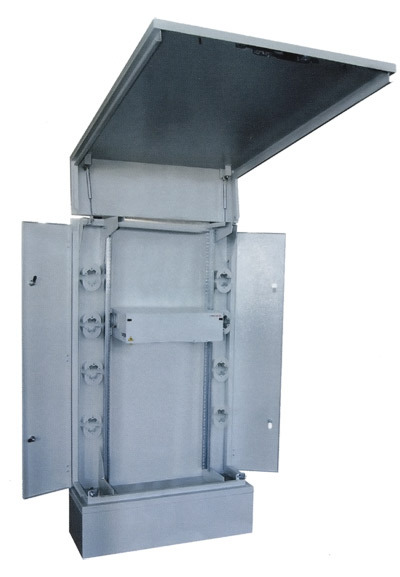 With increased protection offered by weatherproof outdoor cabinets. The protection grade reaches IP55. Ideal for fibre Cross-connect applications, FTTX distribution hubs, Applications for Passive Optical Networks (PON) and Optical Access Networks (OAN) as a distribution point to network terminations for hybrid access technology (fibre/copper) as an Optical Node Unit (ONU).